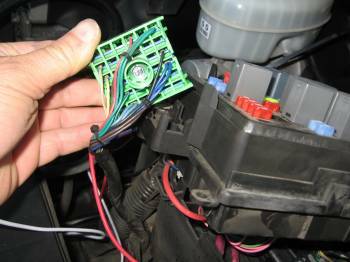 Found this article for installing your harness for fog lights to your fuse block and shows were D6 is on the block. This only if you don't have a harness and have to add it. 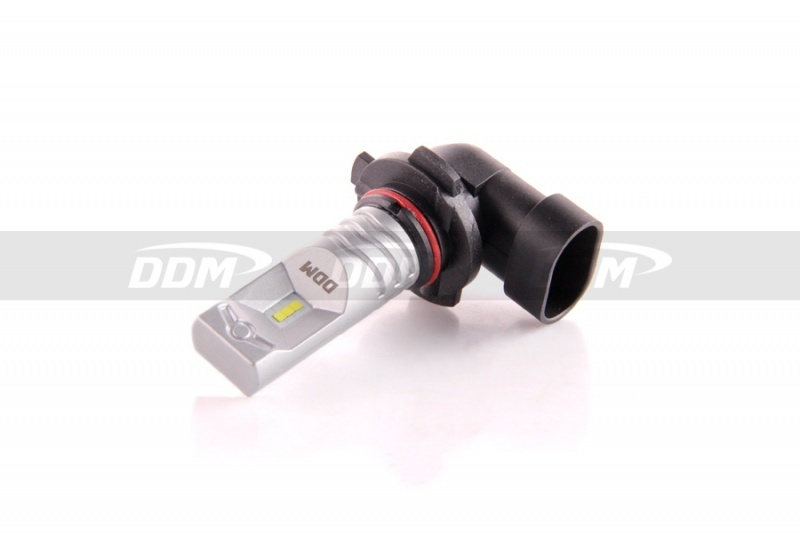 Remember that most of the SSS have the harness tucked up under the front area so spend time look for the connectors, if you find them then all you need is the relay, switch, and foglights. 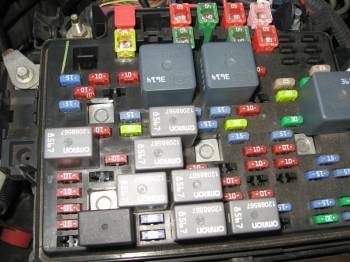 Here's how to add wiring to your fuse block if you don't have a harness. Review the prior post to see for connection to the fuse block. Relay- you can get at any part store or on ebay. First disconnect your battery and remove the brace above the fuse panel. Then remove the cover and add the relay, look under the cover it will show the place for the relay. The picture shows mine is black and in the lower left corner. Take the top cover of the fuse box off, there are clips on the front and back to remove it. Turn it over and you will see a GREEN square block. Use the prior thread or your shop book to locate D6. If D6 has 2 purple wire in its place then you do have a foglight harness installed. Find D6 it next to the RED wire in the pic. You will need to add a wire to the GREEN block that will connect to the relay. You will need the clip that fits in the square, I went to wrecking yard and cut a few out from a later model truck. 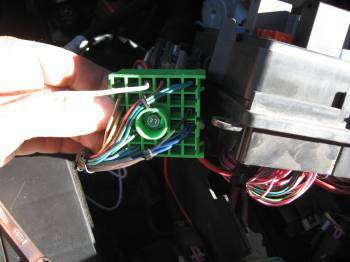 When you cut it out keep the wire long enough to pigtail it to the fog light wiring harness. To add the clip to D6 you need to slide out the blue clip on the GREEN box to install the connector clip make sure you install it the same as the others in the block. Then pigtail your hot wire onto the end and reinstall the block back in place and reinstall the whole fuse box back together. 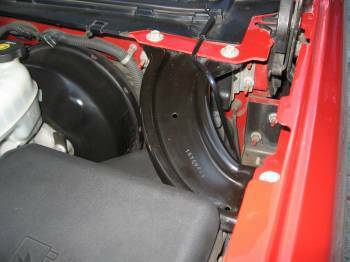 Take the ground wire from your harness to the side of the engine block. Then I covered it with the plastic wire loom. Plug your foglight harness to the lights, I took black ties and strapped the harness to other wires. Re hook up the battery. 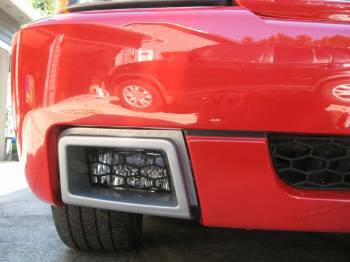 Here are some picture of the Fog Lights instlalled. 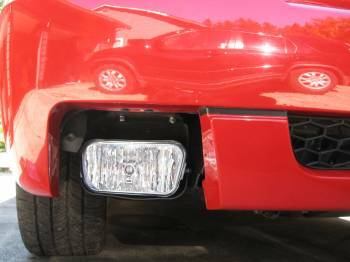 There are other threads on how to make the brackets and install the foglights in this How to do section. Bolts above the foglight/brake ducts to attach the brackets of the foglights. Do you have to make brackets? 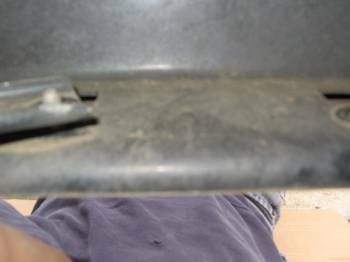 Yes, and here is the thread on the dimension of the brackets, make sure to use a fairly thick gauge of bar. how thick were the brackets you used? No sure of the exact thickness buy I got mine at Home Depot in the building section. Its use for framing strapping and comes in about a 18 inch strips. 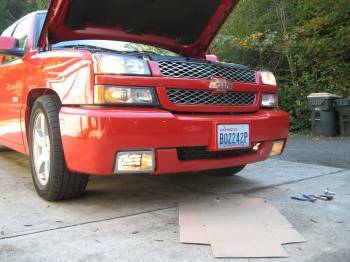 Had a set of nice OEM housings and the switch from 1Fastbrick sitting around here forever; finally got around to doing mine today, used the bracket info given in this post -> http://www.silveradoss.com/forums/topic/86458-how-to-install-your-fog-light-wiring-to-factory-switch/ - my truck being an '06 the factory wiring is already in place so I just needed to make brackets and add the parts. I used plain 1 x 1/8" steel flat bar to make the brackets. Thought about using aluminum and it probably would have been fine at that thickness, but I wanted to be sure they wouldn't flex at all. Used cutoff wheel to zip off some 5" sections then drilled the holes 1/4" with one end a little offset as shown in that thread, then cleaned up all the edges with the die grinder. 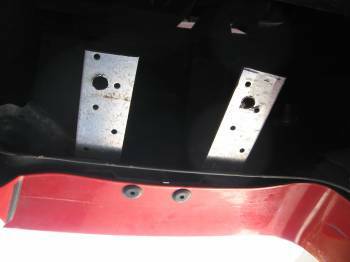 Even with the 1/8" thickness I was able to attach them without issue using the studs poking up from the bumper cover brackets above the brake ducts. I used stainless fasteners since they sit right above the lens, didn't want moisture causing any rust to drip down on them. Easy job...next up I'll order either some high power LED's or maybe HID's to go in them; probably go with LED as HID seem to be obnoxiously bright in this application. Thanks, pretty happy with it so far. Also considering Plasti-Dip to mask the lens as it would let me cover the sides of the lens way easier than vinyl. Figure I can mock 'em back in there and easily mask off the area to not coat and then get to it. Can't wait to make some time to do that to my truck. Very Cool! good Job! I picked up some simple LED's for the DRL's figured I'd put the relay back in for them but it was too dark for me to be sure I had them plugged in the right way, and my LED flashlight wouldn't fool the sensor on the dash...lol...little project for tomorrow. What LED's did you go with? Truth is in an application like this they're more for looks than actually any useful light pattern on the road. I have noticed however they seem to be aimed higher than I'd like and I'm thinking about moving the metal bracket to under the plastic housing bracket instead of on top, try to get some more room in the adjustment. As they sit now you can't adjust down too far because the center of the housing is lower than the center of the brake duct, so you'd start cutting off a lot of the light. let us know how it comes out when you are done making the adjustments. Looking very nice though!